Restorative Dentistry vs Cosmetic Dentistry - What's the Difference? Restorative Dentistry vs Cosmetic Dentistry – What’s the Difference? Cosmetic dentistry focuses on fixing and improving the appearance of a patient’s teeth mostly for aesthetic purposes. Although it is not considered an actual specialty in the industry, it usually takes dentists years of training to be a good cosmetic and be able to do all those precise procedures that are offered today. In general, a cosmetic dentist is a restorative dentist who has specifically focused on mastering the concepts of smile design, as well as the use of high-quality dental materials to be able to provide patients with the best possible smile they can ever have. So what is the difference between cosmetic and restorative dentistry? The distinction between the two can be vague as they overlap each other. Both restorative and cosmetic dentistry make use of dental crowns and implants, for instance. The difference lies in the main focus. A restorative dentist would focus on fixing dental problems to restore the teeth’s full function. A cosmetic dentist would go beyond just restoring function and would focus on ensuring that not only do the patient’s teeth function well but that the end result matches or even exceeds the patient’s expectations of a beautiful smile. A cosmetic dentist will pay attention to every aesthetic detail including the shade and size of a tooth or even how much teeth a patient should be showing when smiling. Restorative dentistry focuses on fixing structural problems like damaged and missing teeth. Restorative dentists make use of crowns, bridges, dentures, and implants to restore teeth and their function. But once that has been achieved, there is no need to go further. If your purpose is to fix a broken, decayed, damaged, or missing tooth, so you can eat and talk properly, then a restorative dentist is a good choice. If what you want is to achieve a celebrity-worthy smile whether or not your teeth have structural problems, then a cosmetic dentist is what you’re looking for. You go to a restorative dentist because you need to. You can visit a cosmetic dentist even if there is no need and you want aesthetic enhancements. Some of the most common cosmetic dentistry treatments include teeth whitening or bleaching, veneers, crowns, bridges, bonding, implants, straightening, aligners, and more. 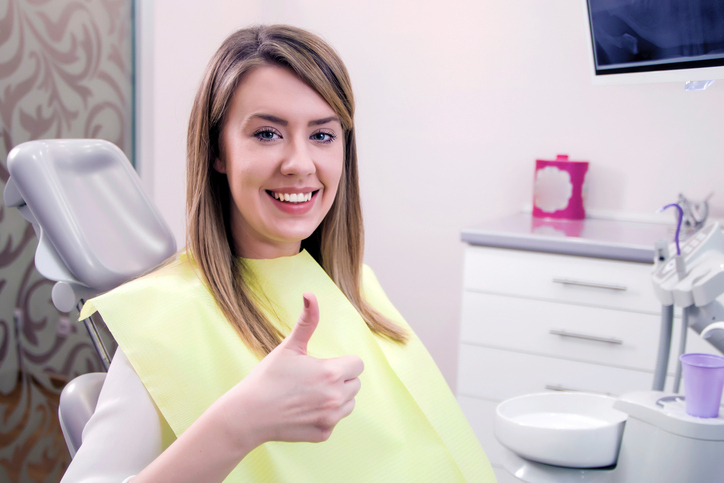 Whether it’s restorative or cosmetic dentistry that you’re needing, an important factor that you should consider is the quality of the veneers, crowns, bridges, and implants that you’re getting. Visit one of the partner dentists of Dental Laboratory Associates and you can be sure that the dental restorations you’ll get are the best you can ever find. This entry was posted in Cosmetic Dentistry, Cosmetic Dentists, Dental Practice, Dental Restorations, dental tips and tagged cosmetic dental, cosmetic-dentistry, cosmetic-dentists, dental services, dentistry, restorative dentistry. Bookmark the permalink.